Ronnie Dunn tipped his hat to Daniels with his version of “Mississippi.” A band comprised of military personnel honored Charlie’s gospel roots with “How Great Thou Art” and Tennessee National Guard Major General Max Haston presented Charlie with his award, remembering Daniels’ many trips to perform for soldiers. Vince Gill was honored by Rodney Crowell, Kenny and Dawn Sears of The Time Jumpers, Vince’s wife Amy Grant and daughter Jenny. David Nail and Little Big Town were among the artists who performed in honor of Alabama front man, Randy Owen. It was noted that Owen has helped raise more than $400 million for St. Jude Children's Research Hospital. The awards program, named for Leadership Music’s first executive director, the late Dale Franklin, was established in 2004 in recognition of exemplary leadership. Nashville Mayor Karl Dean, an alumnus of Leadership Music, was also honored with the Brian Williams Ambassador Award which goes to an individual who has worked to bridge the gap between business and music communities. Radio personality, Blair Garner, served as emcee. He noted that each of the artist honorees has followed his own unique path, but share the common goal of helping others along the way. 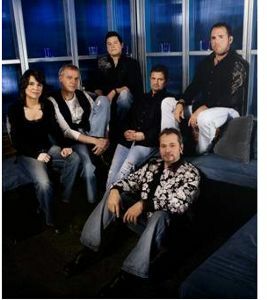 Band leader and keyboardist, John Hobbs fronted a group of musicians including bassist Michael Rhodes, drummer Eddie Bayers, electric guitarist Brent Mason, acoustic guitarist Bobby Terry, pedal steel guitarist Paul Franklin, fiddler Deanie Richardson and Dawn Sears and Jeff White on background vocalists.